EURO-STYLING. GAME CHANGING.TRAIL BLAZING. WHAT’S NOT TO LOVE? When i30 burst onto the scene in 2007, it was an instant hit. Combining European styling with locally-tuned performance, it’s no surprise the i30 range – the versatile hatch, spacious wagon or power-packed SR – has become such an Aussie favourite. The fluid lines and sporty good looks of the i30 were designed and refined at the Hyundai European Technical centre in Germany. And then fine-tuned right here in Australia to create the range we know and love today. The sleek, Euro-inspired lines of the i30 are perfectly complimented by the exterior design and performance features that make driving i30 not just fun, but that little bit smarter, too. Open the doors to the i30’s spacious, sophisticated and tech-packed interior. With generous leg and headroom, as well as plenty of cargo space, a comfortable and fun-filled ride is guaranteed, every trip. 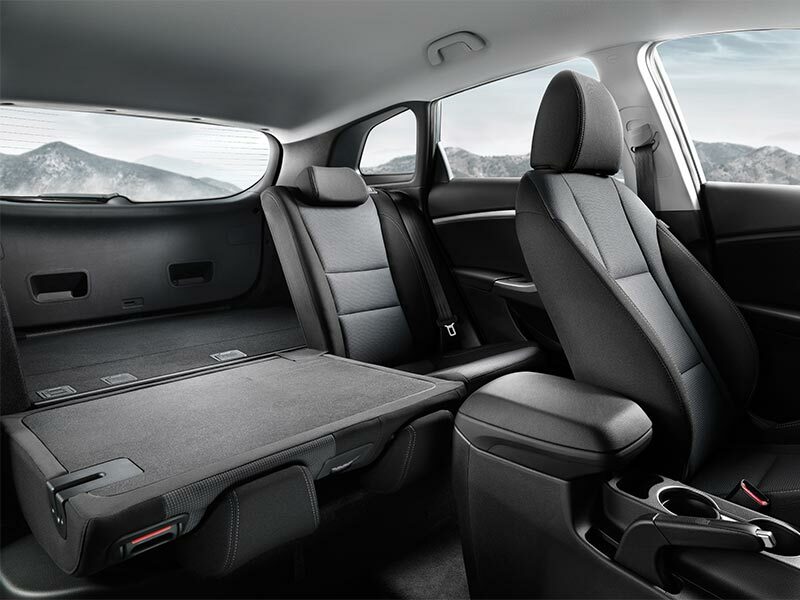 Offering an exceptional amount of space for a vehicle in its class, it’s hard to believe that the i30 is classified as a small car. There’s plenty of head, leg and shoulder room, plus a generous, smartly designed cargo area. The rear seat split 60:40. Quality emanates from the leather appointed interior soft touch surfaces, such as the beautifully detailed seats. Only available on: Active X, Premium and SR Premium variants. *Finishes specified as leather may contain elements of genuine leather, polyurethane leather (leather substitute) or man-made materials, or a combination thereof. 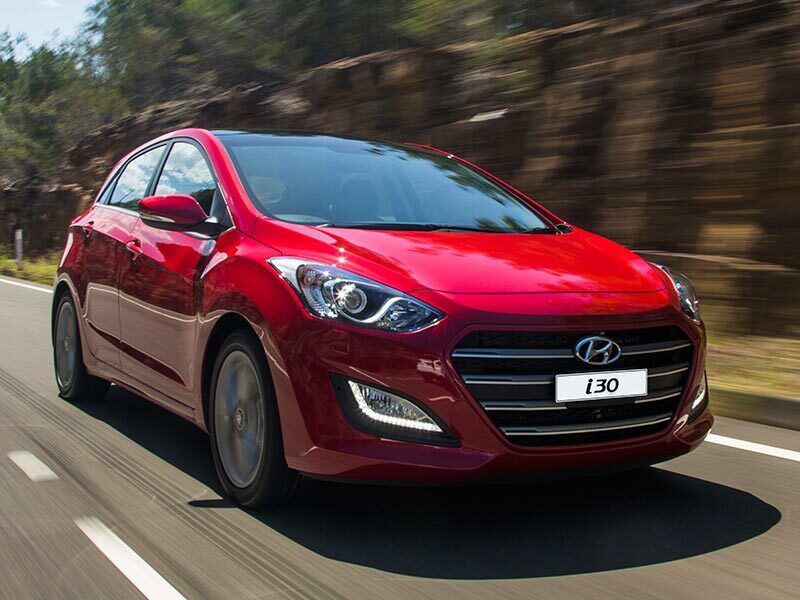 The i30 isn’t just a looker; under the hood, it’s a top-notch performer. Combining athletic power and handling, and an impressive range of cutting-edge driving technologies, it delivers maximum safety, convenience and comfort – all with a liberal sprinkling of style. 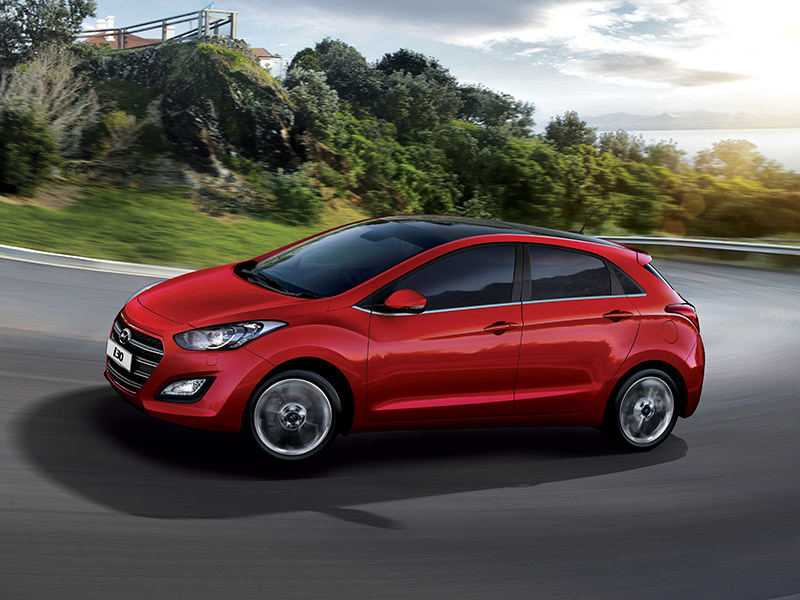 When powered with a petrol engine, the i30 Active and Active X are equipped with Hyundai’s Nu 1.8 MPI Petrol Engine, which utilises Dual Continuously Variable Valve Timing and provides up to 107 kW of power. 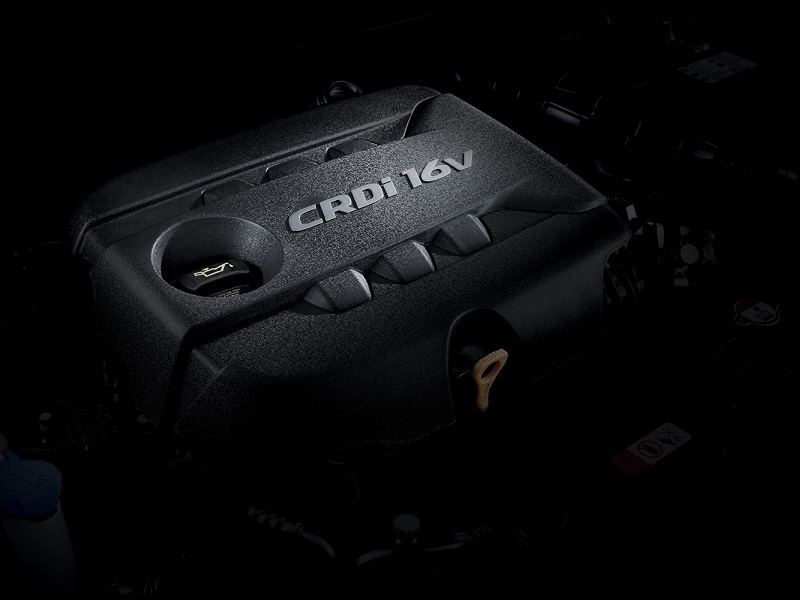 The 1.6 litre Diesel engine from Hyundais’s ‘U2’ series provides an impressive 260Nm (manual) or 300Nm (DCT) of maximum torque and 100 kW power output, which is matched by remarkable fuel efficiency and low emissions. Good looks and world-class performance mean very little if they put people at risk. 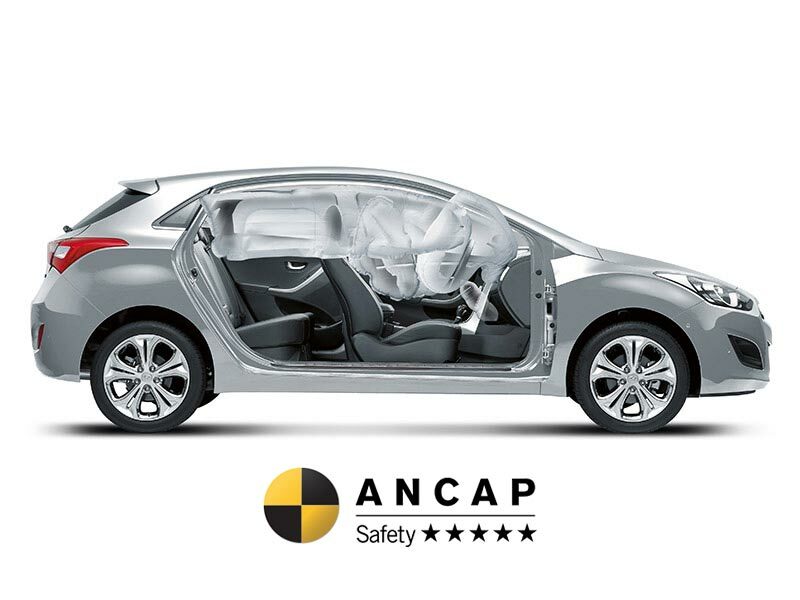 Your safety is our number one priority, which is why every car in the i30 range has achieved the maximum 5-Star ANCAP safety rating. As well as all the other built-in safety features in the i30, in a crash, a comprehensive system of seven airbags – including driver and front passenger (front and side), nearside and offside curtain and driver’s knee airbags – is activated. Look beyond outer beauty of the i30 and you’ll find a heart of steel. High-tensile Australian steel. Smashed and battered in thousands of tests to ensure you and your passengers will be protected in the event of a real crash. The cleverly-hidden rear-view camera activates when reverse is selected, so you can see where you’re going on the LCD multimedia screen. And four rear-mounted sensors help to keep you on track, resulting in perfect parking every time by providing an audible alert when detecting obstacles behind your car. Disclaimer: This information is supplied by FME Financial Services Pty Ltd ABN86169052804 Australian Credit License 465860 and is of a general nature and for information only. Nothing on this website constitutes or should be considered to constitute legal, taxation or financial advice. Before making a decision about any of the products and services featured on this website, you should consult with your own independent legal, taxation and financial advisors, who can advise you about your personal circumstances. 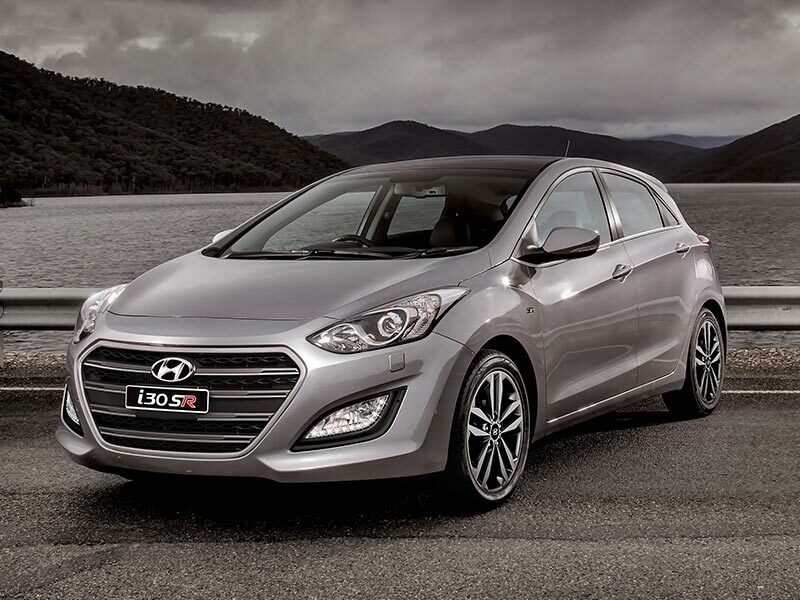 Based on the drive away price of $22.490 for the Hyundai i30 Active from $135 per week. To approved business applicants on a Chattel mortgage loan over 48 months with a deposit of 10% of Drive away Price. Standard fees and charges apply. All offers are based on 13.94%p.a. Full terms and conditions available on application.